The immune system is a complex network of organs and cell types with multiple functions, highly integrated in all body systems. It fights pathogens, repairs damaged tissue, and maintains homeostasis. It continuously interacts with the external environment and a variety of environmental factors. One of these factors is diet. In the past few years, there has been considerable interest in the role that the “Western diet” plays in shaping the immune response. This diet has been adopted by many populations across the world and appears to correlate with a high incidence of chronic inflammatory disorders, including diabetes, multiple sclerosis and asthma. It includes a large proportion of red meat, sugars, fats and refined carbohydrates, and relatively small amounts of vegetables, fruits and fish. Most likely, these inflammatory disorders are not caused by only one or few components of the Western diet. Rather, it is the complex and unbalanced array of micronutrients in the diet that leads to the development of these disorders. Now, results from a new study highlight some of the immune system-related effects mediated by the Western diet and, more specifically, by dietary lipids. Dietary lipids, which consist of fatty acids, are a major source of energy and derive from plants and animals. They are essential for growth and development. However, some fatty acids are potentially harmful and play a significant role in the development of obesity. These include saturated fats and trans fats. Most fats that have a high percentage of saturated fat or that contain trans fat are solid at room temperature. Because of this, they’re typically referred to as solid fats. They include beef fat, pork fat, butter, shortening and stick margarine. The study (Prolonged Intake of Dietary Lipids Alters Membrane Structure and T Cell Responses in LDLr-/- Mice) focused on the influence of saturated fats on a type of immune cells—T lymphocytes, or T cells, which play a major role in the adaptive immune response. To determine how a diet rich in saturated fats impacts immune function, researchers fed mice a Western-style, high-fat diet for nine weeks and examined how this diet impacts the T cell response. The study results show that dietary lipids directly influence T cell activation and responsiveness by altering the composition and the structure of the T cell membrane. 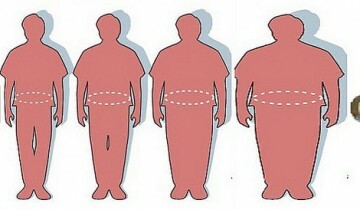 These effects are present prior to the occurrence of weight gain and other clinical signs of obesity. The study results were surprising—although the researchers hypothesized that the T cell response would be weakened, they actually saw the opposite. 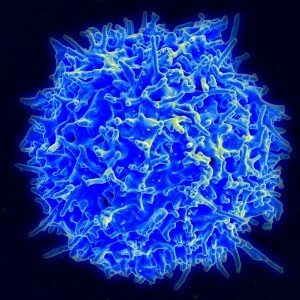 The percentage of proliferating T cells increased. The researchers found that when mice consume greater amounts of saturated dietary lipids, the percentage of cholesterol within the cell decreases and the percentage of phospholipids increases, which induced a subtle change in the membrane composition. This membrane-related change result in noticeable effects on receptor signalling and T cell activation and proliferation in absence of a pro-inflammatory response. I found this post interesting because health and nutrition are really important to me and its an area I’m passionate about. I consider myself a very healthy eater and I live a very healthy lifestyle in general. 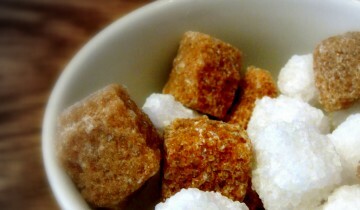 Often times I see other people consuming processed snacks, candy, and soda on a daily basis, especially young adults. I believe that a lot of people mistake their lack of adverse health effects or lack of weight gain as an excuse to eat so bad. However, these daily habits will eventually take a toll on your body/immune system as this post suggests. –Artificial dyes are added to many foods to enhance their color and make them more appealing for consumers, however, many allergies and other immune reactive diseases have increased along with increased use of dye. It appears that an inflammatory response occurs due to the immune systems inability to defend itself against the small molecules of the colorants. These molecules are also able to bind to food and body proteins causing disruption in the immune system. –Soda, specifically sugar-sweetened soda has demonstrated accelerated cell aging due to shortened telomeres. Although shortened telomeres can result from a number of lifestyle habits, the consumption of soda increased the rate. Shorter telomeres have been associated with increased risks of cancer, diabetes, and cardiovascular disease. -Caffeine appears to be beneficial to the body, but not in all cases. Caffeine has been shown to exhibit antioxidant properties and improve heart rate. However, consumption of too much caffeine can impact microglial density and their activation as well as induce asymmetric cell division. Of course there are many other aspects of one’s diet and lifestyle that can alter the immune system, so it’s really important to care for yourself in all stages of life. Also, one who gets sick often may want to take notice of their diet and make any necessary changes! The Standard American Diet consisting of high carbohydrates and sugars, high sodium content and an abundance of processed foods has not only greatly affected the wealth of Americans but is now affecting the health of many different countries. Because of the food industries obsession with taste rather than nutrients, a wealth of processed foods has become more readily available for consumers, especially for low income families. Unsurprisingly, there is a direct correlation between the rate at which obesity increased in low income families as well as the rate of disease/infection. Recent studies illustrates that obese individuals are more likely to acquire diseases than individuals with a normal weight .Although there is not a lot of research available to explain the physiological conditions affecting the immune system in obese individuals, studies show that immune suppression in obese individuals are most susceptible to nosocomial infections including those caused by Staphylococcus aureus and Pseudomonas aeruginosa . Because of this, infections rates within treatment facilities including hospitals are on the rise, especially with the overuse of antimicrobial drugs, where these pathogens are becoming harder to treat. Ultimately, immune suppression within overweight individuals will lead to an increase in morbidity and mortality and will have a tremendous impact on those consuming fast foods. I think the american diet is definitely a major issue but I believe the lack of certified nutritional professionals within society and access to healthy foods with reasonable price is definitely a factor which causes the rise of obesity in the “western world”. I believe a pragmatic solutions need to look at all factors causing obesity and tackling then as a synergy effort is critical to human health. One of the best diets, that is touted for healthy humans is Mediterranean diet which should be considered in western society. For example, I believe medical doctors should have a better nutritional background to help with developing plans for patients with morbid obesity. It is always interesting when you read of populations of people adopting others ideas before they take the time to evaluate the positive and negative sides of the ideas. The selected Western diet is a diet that consists of complete opposite nutrients than those that are beneficial to the body. The diet consists of an abundant consumption of red meats, fats, sugars, and refined carbohydrates; however, the food lacks the essential fruits and vegetables. These foods that are rich in saturated fats are considered malnutrition which leads to immunosuppression due to susceptibility to infection. Inflammation then exceeds its average capacity, and the immune system begins to shut down. In contrast, fruits and vegetables naturally help decrease an abundant amount of inflammation in the immune system. They are rich in antioxidants which are the first line of defense to prevent the destruction of cells by free radicals that initiate inflammation; in the absence of control over these free radicals results in chronic inflammation. These antioxidants have a natural anti-inflammatory action that allows them to interfere with different steps of the inflammatory process, ultimately leading to a decrease in inflammation. Some fruits and vegetables are essential nutrients rich with antioxidants containing Vitamin C and E. Some of these fruits and vegetables include prunes, blueberries, strawberries, red grapes, cherries, oranges, kale, spinach, broccoli, corn, and onions. It is imperative to have an entirely balanced diet, and if you must have an abundance of a portion of the food, it should be a healthy choice. These fruits and vegetables are two food groups essential for the overall health of the body, and most importantly they help manage inflammation through the presence of their natural antioxidants. A Western diet will not be efficient for the health of the immune system and will trigger adverse effects on the immune response. The effects will gradually increase and lead to a list of inflammatory conditions and diseases across a whole population. (1) Lobo, V., Patil, A., Phatak, A., & Chandra, N. (2010). Free radicals, antioxidants and functional foods: Impact on human health. Pharmacognosy reviews, 4(8), 118. (2) Gibson, A., Edgar, J. D., Neville, C. E., Gilchrist, S. E., McKinley, M. C., Patterson, C. C., … & Woodside, J. V. (2012). Effect of fruit and vegetable consumption on immune function in older people: a randomized controlled trial. The American journal of clinical nutrition, 96(6), 1429-1436. I thought it was very interesting that you brought up the Western diet because much of Americans’ diets today consist of processed and sugar-rich foods. These types of foods have been linked to an increase in diabetes, hypertension, heart disease, and obesity. With the increase in diseases like these that can be prevented, many diets have come out to counteract the negative effects of harmful foods. Diets like the paleo diet and detox diets aim at clean eating and eliminating toxins from the body. For the majority of the population these diets may be “fad diets”. However, an interesting article I came across discussed how the paleo diet helps people with autoimmune diseases like Lupus – a disease where the body’s immune system essentially attacks itself causing widespread inflammation. The paleo diet revolves around the idea that we should eat like our ancient ancestors, in other words – foods that were available before modern agriculture. It allows foods like non-starchy vegetables, wild meat, healthy fats and oils, nuts, and seeds. The paleo diet strictly eliminates grains, dairy products, and sugar with the idea that these food groups aid in cytokine release and contribute to the natural inflammatory response that is already hyper-activated in patients with autoimmune diseases. While the paleo diet does eliminate major food groups, this diet may be beneficial in preventing flare-ups and minimizing the symptoms of the disease. Great point, the western world has advanced to the point where quality of food doesn’t matter as much as politics for example. The life styles that people have adopted in these countries are unbelievable. Take here for example, some people eat out seven days a week, three times or more a day and never cook at home. Restaurants claim to serve healthy choices of food; however, what they call healthy is actually the unhealthiest in other countries; and to top it all nobody cares, not the leaders for public health safety, not the consumers, talk less of the restaurant owners. What caught my eye in this article is the part where they say even though the researchers hypothesized that a high lipid diet will impact T lymphocytes negatively, they found out the opposite. If I am correct, this suggests that fats are actually good for the proliferation of T cells. However, I wonder if they took into account that the fact that T cells are increasing their membrane receptors abilities don’t mean that is a good thing. What if T cells are actually producing defect receptors thereby rendering them inadequate? Or that they are making receptors that can now recognize self and induce an autoimmune disease? I think more research need to be carried as far this finding goes as was proposed by Dr. Pollock from the article. Unless the T cell proliferation is happening during an immune response and it shows to be effective by improving the cell’s job, I think we shouldn’t jump into conclusions that lipids are great for T cells proliferation. People should try to find ways of eating better and living healthier life styles; at least such ways have proven to be the best methods for taking care of one’s body and health. I have always heard the phrase “you are what you eat”, but I did not know that could apply to your immune system as well. What minor changes could I make to my diet to increase the productivity of my immune system? Recent studies show that yogurt that contains Lactobacillus plantarum can stimulate the immune system functions and reduce stress markers. The neutrophil to lymphocyte ratio decreased and the natural killer cell activity increased. Therefore, yogurt is a helpful food to the immune system in clearing infections. Lactobacillus plantarum can also be found in other foods such as, some milk, breads, and sauerkraut. Often times we do not know we have a infection, because our immune system works very hard to clear the infection before we become diseased. A simple change in our diet, such as yogurt consumption, can aid our immune system. The popularity of purchasing nutritional supplements and vitamins seems unnecessary when reading comments like this. There are so many ways to gain nutrition and immunological support from diet. Yogurt and other probiotics have been a common remedy recommended by doctors when dealing with intestinal bacterial infections. When my friend and I were visiting eastern Europe, she got some kind of bacterial food poisoning that lasted several days. As we went from country to country, she saw a couple of different doctors. All the doctors didn’t want to prescribe antibiotics because they were afraid that would kill any good bacteria in her stomach and possibly allow whatever pathogen (potentially antibiotic resistant) that was causing the infection to proliferate. They suggested eating yogurt instead. This allowed more commensal bacteria to proliferate in her system, pushing out the organisms that were causing her symptoms. It is also likely that the yogurt was aiding her immune system in the various ways mentioned in the previous comment. I have my hesitations about a high saturated fat diet. I see myself as an individual who eats healthy almost all year long. Eating healthy is about regularly portioning, watching what you eat, and counting macromolecules. I believe in consumption of a low carbohydrate diet. There are many studies over the past few decades suggesting low-carb is a healthier diet than low-fat. To use mice an example; this study, mice were fed a high-fat and low- carb diet, and this led to weight loss. The point of a very low- carb diet is to induce ketosis which is the breakdown of the fatty acids as an energy source instead of glucose. Individuals on a ketogenic diet have shown to have higher energy, resistance to acquiring diabetes and losing unwanted fat. As for the composition of the fats digested, it comes down to the personal digression to stay away from trans and saturated fats. Similar to T cells, a diet high in lipids can also effect the composition of the cellular membrane of macrophages potentially resulting in a negative impact on their role in an immune response, particularly in terms of their cytotoxicity. In a research study mice were fed different types of fats, coconut oil, olive oil, safflower oil and fish oil respectively followed by being assessed in comparison to mice fed a low fat diet, to determine how effectively macrophage kill infected fibroblasts and mastocytomas. The overall results, as expected, demonstrated that the increasing number of unsaturated fats in the diet of mice led to a reduction in macrophage immunogenicity, but surprisingly, the macrophages of mice fed fish oil and coconut oil were as effective against killing fibroblasts as mice receiving a low fat diet. The variability in the results of the research study previously mentioned demonstrates that more studies should be performed to test the immunogenic effects of saturated fats, unsaturated fats, monounsaturated fats and polyunsaturated fats, in isolation, to find out which type of specific fat negatively impacts the functions of immune cells such that the scientific community can make more ‘conclusive’ recommendations for the types of fats that individauls should be consumed daily. Wallace, Fiona A., et al. Dietary fats affect macrophage-mediated cytotoxicity towards tumor cells. Immunology and Cell Biology;78 (1):2000. 40-48. doi:10.1046/j.1440-1711.2000.00867.. The “Western diet” is definitely a topic that has been investigated in numerous studies. A large amount of saturated fats that lead to poor cardiovascular health and obesity have been linked to the foods that are a part of this diet. It is no surprise that saturated fats also have an influence on our immune system functioning effectively as well. It would be interesting to find out exactly what mechanisms are affected due to a diet high in saturated fats. An article I found regarding the effects of a high fat diet stated such a diet leads to “immunodeficiency” and “inflammation” (Cui et. al 2016). It was found that mice having a high fat diet had an increase in intracellular reactive oxygen species (ROS) in addition to inhibited glucose uptake. A decrease in ATP concentration and also IL-2 production in T cells was also observed. This oxidative stress was also considered to be the reason for T cell proliferation. Thus, a high fat diet can have detrimental effects on the immune system by generating more ROS that leads to deficiencies in the immune system functioning properly. Cui J, Huang D, Zheng Y. Ameliorative effects of α-Lipoic acid on high-fat diet-induced oxidative stress and glucose uptake impairment of T cells. Free Radical Research. July 2016:1-36. doi:10.1080/10715762.2016.1210140. This blog is really interesting because it brings up an idea to me, which is that immune response is related to obesity. I am really interested in the relationship among diabetes, obesity and immunity, because lots of my friends have diabetes and obesity. When I did the research about it, I found that obesity can be the cause of diabetes by stimulating the innate immune response. As we all know, the diabetes is caused by insulin dysfunction. And insulin suppression can be caused by several factors, the inflammation of adipose tissue is one of the factors. Adipose tissue is an endocrine organ mainly consisting of macrophages, T cells, B cells, and adipocytes. Macrophages in adipose tissue, which also called adipose tissue macrophage (ATM), are divided into two types: M1 microphages and M2 microphages. M2 microphages can secrete anti-inflammatory cytokines, such as IL-10. And M1 microphages can secrete pro-inflammatory cytokines, such as IL-1. And obesity can change M2 to M1 in ATM populations, which means that anti-inflammatory cytokines production will be reduced and pro-inflammatory cytokines will increase. Pro-inflammatory cytokines can weaken the normal insulin signaling so obesity can cause insulin suppression indirectly. This is the one way that obesity can cause disease in human. Therefore, it is really important for people to keep a healthy life style. Kalupahana, N. S., Moustaid-Moussa, N., & Claycombe, K. J. (2012, February). 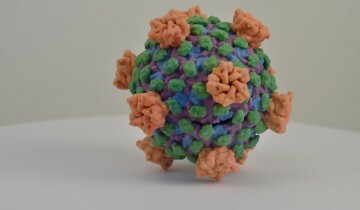 Immunity as a link between obesity and insulin resistance. Molecular Aspects of Medicine, 33(1), 26-34. I too find this post and study very interesting as I consciously try to lead a healthy lifestyle. My initial reaction when reading the blog was that it is counterintuitive to think that overconsumption of saturated fats leads to malnutrition because one would think that a person consuming large amounts of saturated fat surely takes in other nutrients in the process, right? 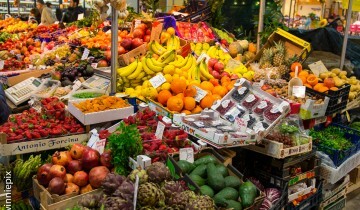 The more I read, I realized that the rest of the nutrients don’t matter when it comes to overall health and nutrition. If you over-consume saturated fats, you may just tip the scale of your immunologic health in the wrong direction enough for a serious impact. What does it mean, exactly, that T cell response is altered by a diet rich in fats? After digging more into the study I found that the alteration of the structure of the T cell membrane has many implications. By changing the lipid composition of the cell, the T cell receptors are altered. This is not the same as a weakened T cell response as researchers showed that T cells actually multiplied following a diet high in saturated fat. The combination of the two findings is thought to cause an overreaction of the immune system which could contribute to the many autoimmune diseases we see in Western society. I also found it interesting that even those people who consumed high amounts of saturated fats but were not obese also showed T cell response alteration. I believe this is of specific importance as many people make themselves believe their health is okay as long as they stay within a certain weight range. People in Western society must be better educated about health so that a real impact can be made for the better. As a first world country, we should not see such a high prevalence of malnutrition. We don’t know yet exactly what the mechanism is of that action on the immune system as a whole but I am very interested to see what future research unveils. I never realized that your immunity could be affected that profoundly at a micro level as it pertains to immune response. Even though this study was conducted on mice, the correlation to humans is insightful. As a health conscious person, I like to experiment with different types of diets and their affect on the body to see the type of results that can be produced. One of the diets that peaked my interest was the Paleo diet, which was introduced to me by a certified physical trainer at the local gym. I did research on the diet before trying it on my self. The Paleo diet consists of food that can be hunted like meat and seafood and gathered like fruits and vegetables. Paleo diets main benefits include elimination of gut irritants like lectin, which causes intestinal inflammation. A study few years ago, compared the Paleo diet and “western diet”, which suggested that dense carbohydrates promoted obesity and inflammation in the gut, which was counter to the Paleo diet. The leaky gut adds to autoimmune reactions and other immune problems like celiac disease. The Gut flora is a serious physical barrier for innate immunity against infections. Also, the Paleo diet consists of healthy fats like nuts and seeds, which is great for the immune system. This raises HDL, which is healthy cholesterol that expands the immune function and increases resistance to different pathogens. By reducing “western diet” the gut cannot be damaged to the natural balance of gut flora, which causes immune disruption. Just as diet is important, healthy immunity should also include proper sleep and adequate exercise to maintain a healthy body. I find it interesting that when saturated fat intake is increased the cholesterol levels in the cells decrease. Cholesterol gives cells a certain amount of turgor that allows the cell to be motile but not too amorphous in shape to allow the surface receptors to work. Obese patients are typically more prone to blood clots which could lead to a whole list of complications such as heart disease but if there is a lower amount of cholesterol what may be the source of the increased possibility of heart disease. Maybe the increased blood clot rate is a result from the over-proliferation of immune cells.